Superior Performance Quick-Lock Filter Cartridge. The Chanson SPA Shower Filter protects your skin from daily exposure to large amounts of chlorine and chloramines absorbed through your dilated pores under a hot shower. Prevents dry flaky skin. Pre-filtration for municipalities that have fluoride in their drinking water. Pre-filtration for municipalities that do not have fluoride in their drinking water. 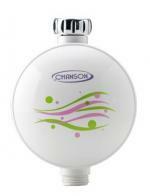 Chanson introduces a cutting edge nano-filtration system that removes harmful contaminants from city or well water. 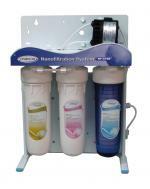 Yet contrary to Reverse Osmosis systems, the Chanson Nano-Filter does not filter out all the minerals found in the water. 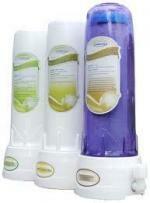 It can be used as a stand-alone water filtration system or in combination with a water ionizer.